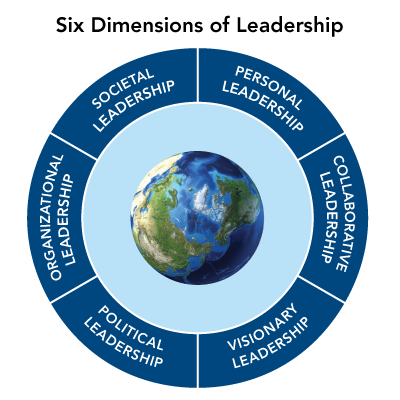 Our work is guided and informed by “Six Dimensions of Leadership” that our research identified as critical to the development of young social entrepreneurs. This leadership framework is fully integrated into our program design, fellowship application and selection process, and training methodology. These are the core principles upon which the YouthActionNet training curriculum, consisting of 57 modules, is based. This flexible and evolving curriculum is designed to meet the needs of young change-makers living and working in diverse geographic and cultural contexts. The YouthActionNet model occupies a unique niche in the youth-led social innovation field. Prior to launching YouthActionNet, our research pointed to a critical gap in support and funding for young leaders, ages 18 to 29, who had launched promising early-stage initiatives. The needs of this target group are different from other age groups or ventures at different stages in their evolution. Organizations in this sector either focus on youth up to 18 years old, or on initiatives that are more advanced, irrespective of age. YouthActionNet is positioned between these two programmatic interventions, occupying a unique niche and adding value to the continuum of social innovation. Drawing on our research on young social entrepreneurs and their needs, YouthActionNet offers comprehensive, flexible, and adaptable yearlong programs at the local and global level. We combine advanced training, peer-to-peer learning, coaching/mentoring, access to networks/resources, and advocacy opportunities that enable young leaders to deepen their leadership capacity and take their ventures to the next level. Central to our mission is the establishment of national/regional YouthActionNet institutes that are locally rooted and globally connected. These institutes—housed within universities, foundations, and nongovernmental organizations—tailor their approaches to meet the needs of youth leading change within their countries/regions. This social franchise model enables us to scale our impact, while ensuring local ownership and long-term sustainability. With the ultimate aim of engaging an emerging generation of youth as change-makers, YouthActionNet connects its Fellows to universities. By sharing their real-life experiences in addressing community challenges, Fellows bridge the gap between theory and practice, while inspiring their university peers to consider how they, too, can contribute to positive change. Learning flows both ways with students sharing their skills in marketing, business planning, and communications with Fellows. With hundreds of our Fellows advancing their social change careers, we are committed to providing high-impact continuing education opportunities across our Network. Learning takes many forms—whether through webinars, videos, mentoring, or the sharing of valuable resources. Central to these efforts is tapping the expertise of our alumni on a range of issues.